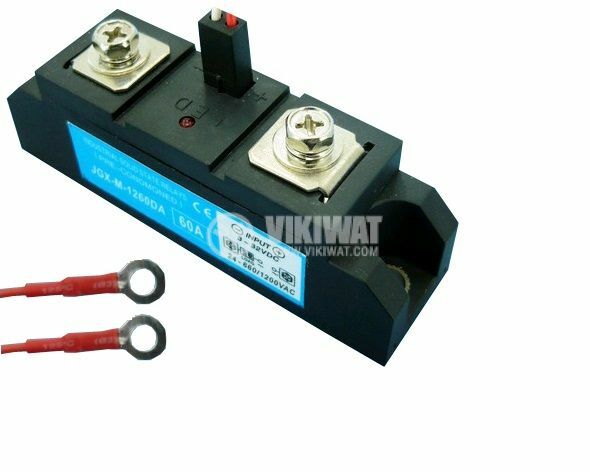 SSR semiconductor general purpose single phase relay with maximum switching voltage 24-660 / 1200 VAC, maximum load current 60 A and control input voltage 3-32 VDC. List Price 60.50лв. VAT Incl. 57.50лв. VAT Incl. dimensions WxHxD (mm) - 92 x 20 x 37.5 mm. The maximum output current of the relay is dependent on the working temperature of the SSR relay housing when operating with the active load.